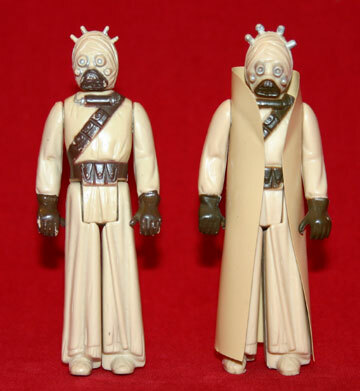 The Tusken Raider (Sandpeople) action figure prototype shown on the left is referred to as a first shot. Astute eyes may notice the first shot's head posts are considerably thinner in width and the face protrusions exhibit a slight indentation at the tips. 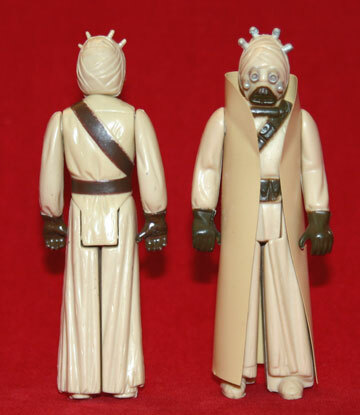 First shots are typically characterized by the absence of copyright and country of origin information located on the hind leg; this Tusken Raider exhibits the typical first shot characteristics. 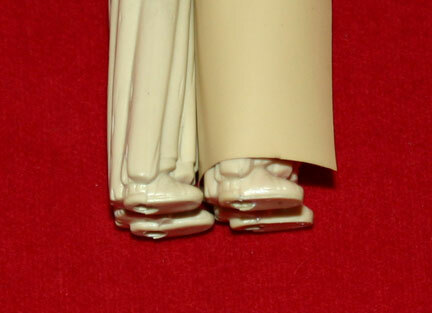 Wayne astutely noticed the feet bottoms appear lightly shaved down when compared to the standard production version seen on the right. 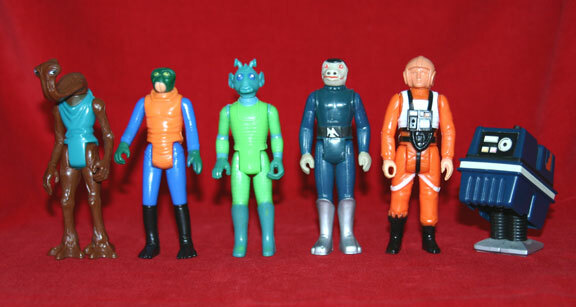 The final image shows some friends of the Tusken Raider found in Wayne's first shot collection, which intensely focuses on the first 21 characters.